Citi has created a new senior management position, in which the incumbent will be charged with enabling and supporting the commercialization of clearing product capabilities for the world’s developing currencies, including the Chinese renminbi, Brazilian real, Russian ruble, and Indian rupee. Yiting Shen has been elected to this new position, with the title of Head of Payments for developing currencies at Citi, based in New York. According to Citi, the business need for such a position was motivated by the requirements of financial institutions around the world, for greater access to currencies that were formerly considered exotic. Payment values in emerging currencies are growing rapidly as trade flows increase. Prior to taking on this new role, Ms. Shen was the Head of Strategic Initiatives for Citi’s Treasury and Trade Solutions Group, where she concentrated on business model innovations for the firm. 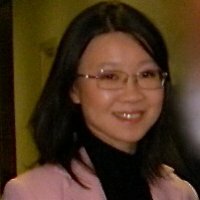 Prior to joining Citi, Ms. Shen was an entrepreneur, having co-founded an education consulting firm in China, worked with Booz & Company in London, specializing in financial services with clients in Middle East, Africa, Korea, China, and India, and also worked in M&A with UBS based in New York. Ms. Shen holds an MBA from MIT Sloan School of Management, an MPA from Harvard Kennedy School of Government, an MS in Financial Engineering and a BS from Columbia University.